The mod adds several achievements in 0.11.1 with which will be play a little more interesting. Achievements can be opened by executing certain conditions. 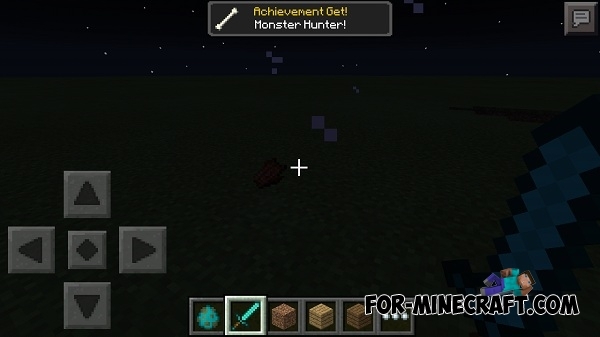 Achievements in MCPE give a sense of the passing game. 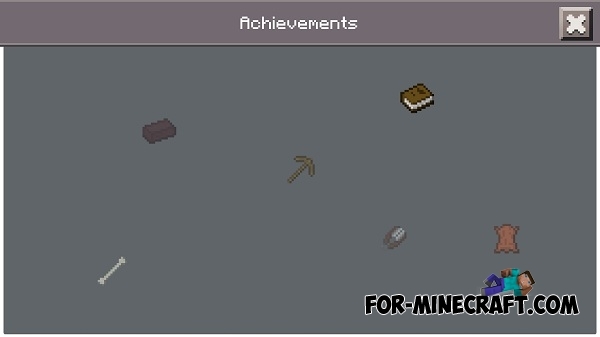 Most of the miners are trying to get all the achievements and the process itself is also interesting quests (if you are an honest minecraft player). 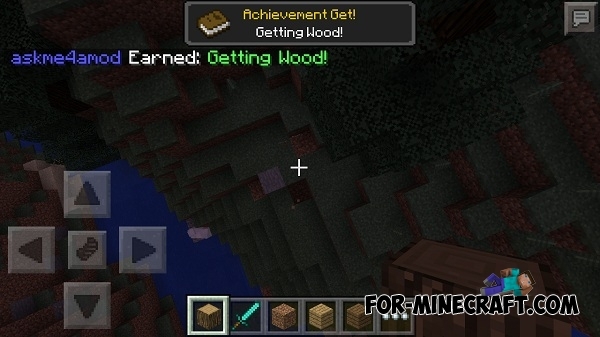 After you install the achievements mod using BlockLauncher - it automatically turns on and the screen will be a button that displays the status of the passage of quests. After completing each quest you are given gifts - special items that are given for completing quests.